Students set to learn sustainability first-hand from industry leaders. Sustainability is key at Stevens Institute of Technology. From energy efficiency and conservation efforts to social, environmental and economic well-being, sustainability is a priority at Stevens. Giving students tools and opportunities to become leaders in the field is the impetus behind Stevens’ popular sustainability seminar series. 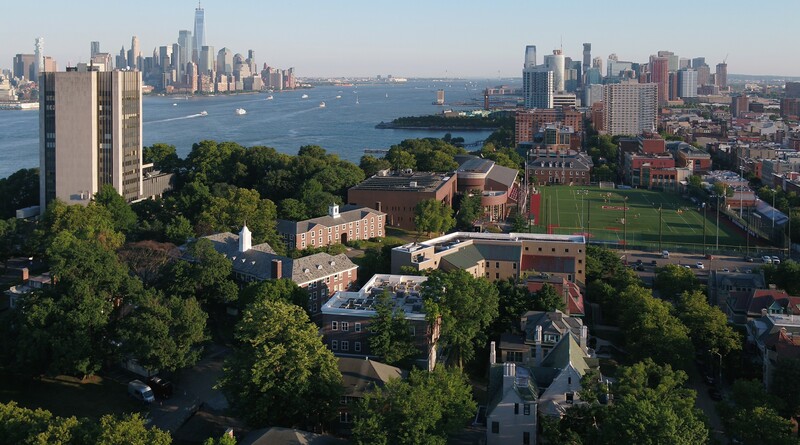 The Fall 2018 Sustainability Seminar Series begins Wednesday, September 19 at Stevens’ campus in Hoboken, New Jersey. It is the third series offered by the sustainability management program, and is expected to be more popular than ever. "Our Fall 2018 seminar series continues our goal to engage people in discussions on sustainability issues critical to our social, environmental and economic well-being," says professor Dibyendu “Dibs” Sarkar, coordinator of the series and founding director of the program. "We will have ten engaging speakers from industry and government who will discuss their work in various areas of sustainability ranging from development goals of the United Nations to sustainable mass transit to a day in the life of a sustainability consultant." Sarkar adds, "We are live webcasting the seminars for any interested in learning how to make our world more sustainable. They will also be archived on the Schaefer School of Science YouTube channel. Students attending the seminars in person are encouraged to engage in a 'meet and greet' with the speakers before the seminars. The speakers are all local and regional leaders in sustainability and many of them are interested in working with our students in a mentorship capacity." That kind of access to potential employers, as well as the breadth of topics covered, is what makes the series so popular. September 19 - Thomas Abdallah, MTA Transit: "Sustainable Mass Transit"
September 26 - Marc Nardolillo, BEM Systems: "Assessing Risk to the USAF’s Arctic Infrastructure due to Coastal Erosion"
October 3 - Cynthia Figge, CSRHub [VIRTUAL]: "From Disclosure of ESG Metrics to Sustainability Performance: Building the Virtuous Loop"
October 10 - George Hollerbach & Joseph Cleary, Geosyntec Consultants: "Pharmaceuticals in the Environment: Status and the Treatment Alternatives"
October 17 - Ingvild Soerensen, United Nations Global Impact: "Business and UN: Sustainable Development Goals"
October 24 - Leslie Hoffmann, Harmony Dispensary: "Career Trail - Sustainability to Medical Marijuana"
November 7 - Jamie Ewalt Gray, C. E. Bugdal, LLC: "What Could/ Should Sustainability Mean to Scientists, Civil Servants, and Citizens: A Dialogue"
November 14 - Adam Freedgood, Third Partners: "What is Sustainability Consulting, Really?" November 28 - Michael Perna, Con Edison Clean Energy Businesses: "Business Considerations for Investing in Renewable Energy"
The seminars will be held every Wednesday from 5:00 to 6:00 pm at the Altorfer Academic Complex. Attendance is free but seating is limited to 30 people, so please RSVP to Dr. Sarkar at [email protected] Refreshments will be provided. The series is sponsored by the Center for Environmental Systems. It is organized by the sustainability management graduate program within the Charles V. Schaefer, Jr. School of Engineering & Science. More information about these speakers and the series is available on the Sustainability Seminar Series page. For those unable to attend seminars in person, the seminars will also be live webcast by Stevens's WebCampus and Blackboard Collaborate and archived on the Schaefer School of Science YouTube channel.